The Timbers Apartments is ideally situated in Hayward’s Jackson Triangle neighborhood, at the intersection of I-880 and Hwy 92. Living here means you are minutes away from easy freeway access, the San Mateo Bridge, and Jackson Street. Taking public transit couldn’t be easier, with close proximity to local bus stations, and the South Hayward BART station less than three miles away. 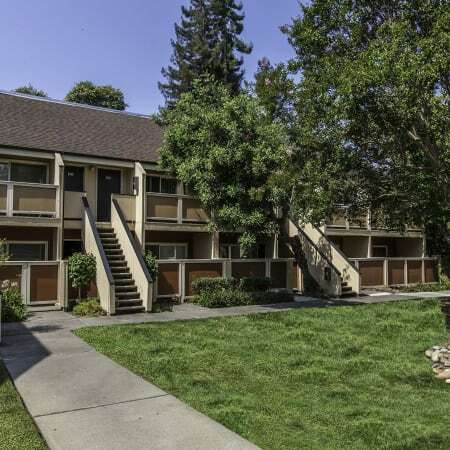 The Timbers Apartments’ central Bay Area location, plus quick access to Chabot College and Cal State University — East Bay, make us a great option for students who wish to live off-campus and in the heart of Hayward. The Timbers Apartments is designed to provide you with the absolute best in efficient and practical community amenities. Our location takes convenient apartment living one step further to put you in the center of Hayward, with easy access to the greater Bay Area. Living just off of Jackson Street means you’re minutes from regional expressways and large employers. You’ll be near to everything Hayward has to offer, from errand running to community services. We are across the street from Lucky Supermarket and a great selection of casual restaurants. When you’re not in the mood to cook, pizza, burgers, Indian, and Chinese restaurants are all just a short walk from your front door. It’s a quick drive to the department stores, unique boutiques, and dining options at Southland Mall. Runners and cyclists will enjoy living just a few blocks from the Southgate Walking Path. No matter what type of outdoor recreation you’re looking for, Hayward has something for you. This beautiful part of the Bay Area is home to numerous parks and recreation areas, including Hayward Japanese Gardens, Memorial Park, and Lake Chabot Regional Park.